A prominent aspect of any eCommerce business is, return orders. You may find it to be a daunting task, but returns are something you cannot avoid. According to a recent study, 30% of all online orders are returned. 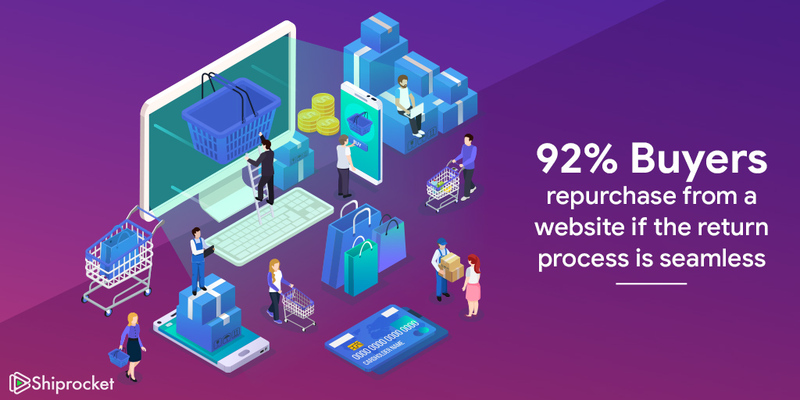 But, over 92% of people will buy again from a website if the return process is seamless and hassle-free. There are many methods through which you can reduce returns; however, when it comes down to modern eCommerce, you will have to face the wrath of return orders. How you can convert it into a business opportunity is the real game changer! Why is it essential to manage eCommerce returns? Return orders form a vital segment in the order fulfillment chain. In modern eCommerce, the fulfillment cycle is not just limited to the delivery of the goods to the end buyer. It extends upto a complete satisfaction cycle wherein the buyer has a choice of returning or exchanging the goods. It drives the final revenue of most eCommerce businesses and is slowly turning out to be more of a necessity than choice. Other than order fulfillment, return orders also play an important role in customer retention. As an online business, your buyers have only two ways to reach out to you — your website and order fulfillment. Therefore, if a consumer can come to you for a query as grave as a return, and you can process it efficiently, you have earned the trust of your buyer, and there is a good chance they return to you for making a purchase. Moreover, they might also recommend your service to their circle. To deal smartly with returns, you first need to visualize how they will impact your business. Thus, analyze your costs and decide a policy that works best for your company. Some companies can afford to carry out free returns while it can be an added cost for some. Make sure what works best for your business. Don’t include any difficult terminology and stick to plain English as much as possible. Clarify the kind of refund you offer, how you will process their payment, etc. Also, mention the maximum time till which they can handle a return order. After you draft a return policy, make sure you place it correctly on your website. Include it after every product description and make it noticeable. Create a dedicated page for returns and ensure you have ample videos, documentation, and required FAQs to clear any doubts the customer may have. Provide complete information at all times. It is found that most shoppers view a return page before they begin shopping. Thus, pay close attention to this page and keep updating it regularly. 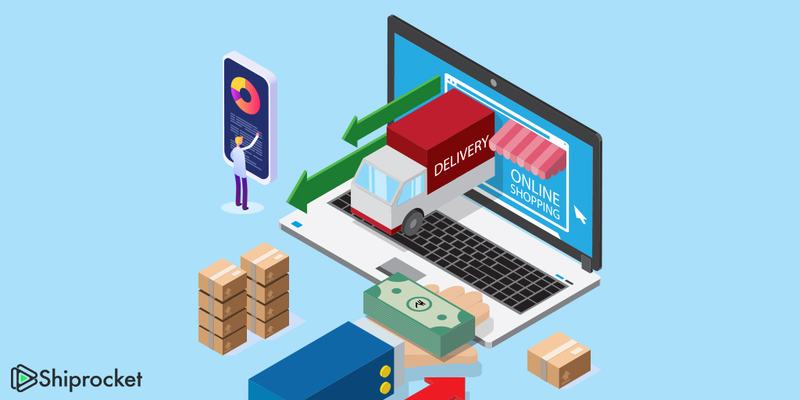 With evolving technology, many shipping software and companies have devised methods to decrease return order processing time. Shipping software has implemented features wherein you can take action to process return orders within a few clicks. If you want to amp up your return order processing, it is time you give these software a try! 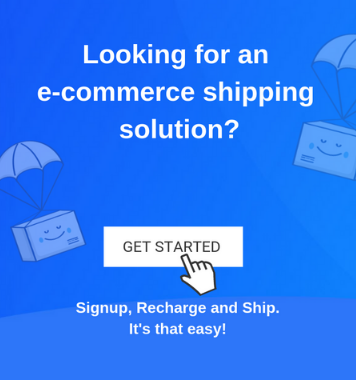 Many times it is not possible for you to include free returns in your shipping model. But if you can afford free returns, make sure you spread this information among your customers. Include it in banners on your website, if you run any promotional campaigns make sure you advertise it there and most of all, include it on every product page. Every return policy has some rigid instructions which you cannot alter. For example, time to process returns, when to handle returns, etc. But it is a fact that 79% people return a product they buy during the festive season. Thus, try to tweak policies slightly for holidays, and that is when you can tap a lot of new customers and have the chance to make them stay. Keep your customer informed about the status of their return orders. Send them communications when you send across an agent to collect their product, when it is on the way and when you receive their product. This action will help the customer keep up, and they will not have to contact your support team with their queries. It is a healthy way to improve the quality of your product and service. Also, with every input you take, you give the buyer a hope that the product will grow and they can come back again to shop from you. One process the buyer hates is to look for return instructions on your website. Since it’s not something they access every day, they need to find it over and start understanding from scratch. On top of that, if they need to print labels etc., they need to go out of their way to procure it. This step makes the process unpleasant and tedious. To provide comfort to the customer, send return instructions and any labels and slips required for processing a return as it would simplify the process. As always, opt for a strong customer support team and assist customers with any query your buyers may have. Stay up to date with recent updates, policy changes and provide a solution to every problem. You can also install customer support software to raise tickets, formulate help documentation and provide assistance with live chats, etc. 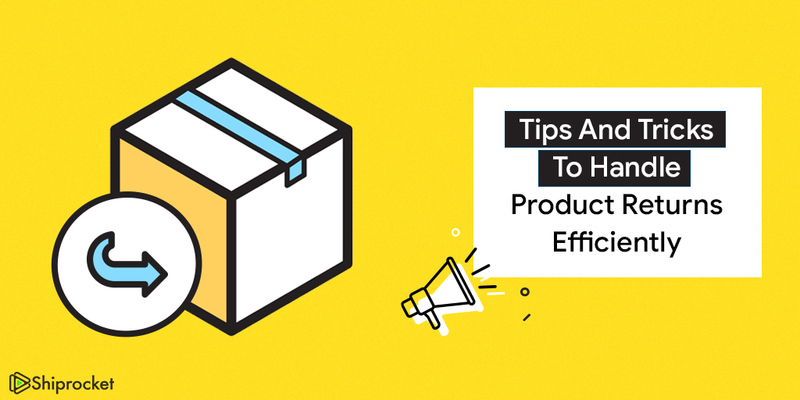 Try and implement these strategies to process returns in a smoother, more straightforward and seamless manner!